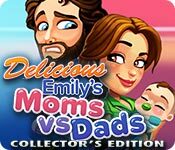 Delicious: Emily's Moms vs Dads Collector's Edition is rated 3.7 out of 5 by 37. Rated 5 out of 5 by desertfern from A great game, with a slight flaw How do you get past the illogic of serving a customer a chef's hat and an apron, then sit there and watch them eat something on a plate. Are they eating the hat and apron? What kind of a world is this?! It couldn't have been that hard to program in an exception that people who sat at tables would only order food. Nevertheless, it's a great game, with a lot of levels. 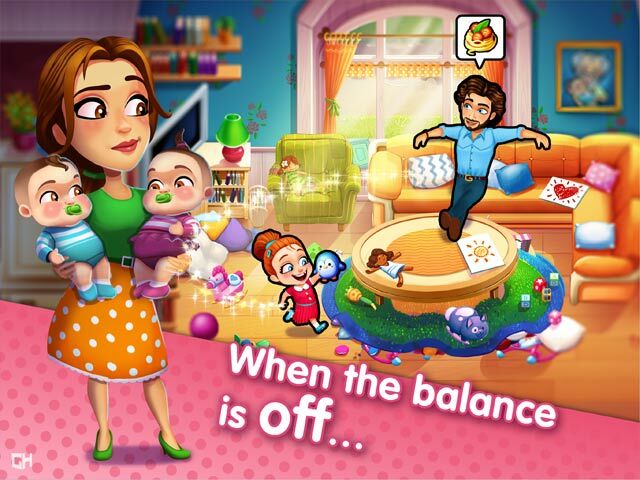 The story will resonate with moms or dads alike, and hit deeper notes that I'd expect from a casual game. It's also refreshingly inclusive. I enjoyed it very much. 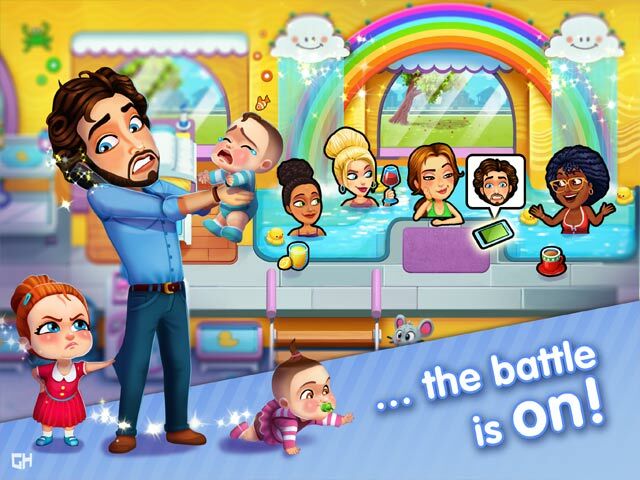 Rated 5 out of 5 by nonnie48 from Love the Emily Delicious games Game is fun, quick & a little harder than the others in this series. Haven't looked to see yet but, I'd like to play the game in full screen. Rated 5 out of 5 by FORTUNATUS from GREAT casual time management game.... My only wish (given the dark atmosphere of most games and limited availability of TM games) is that more games offered such charm and attention to detail. The gameplay is challenging enough and the storyline characters are so endearing! Overall there is lots of potential for replay ability. Loved it so much.....thanks, Developers!! 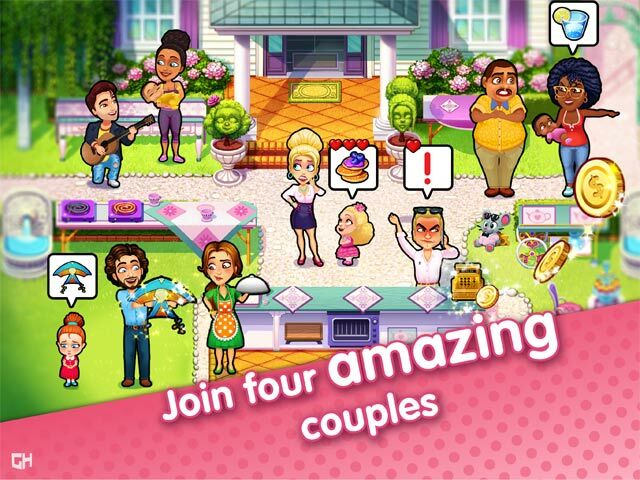 Rated 5 out of 5 by ncr59 from Love another Delicious game Fun game with a great story line. Graphics are good and keeps you going. Rated 5 out of 5 by RedRee1 from love it i really enjoyed the game, the levels were challenging and that is what made the game more fun. I read some of the reviews and was hesitant to purchase the game, but tried the 60 minute trial and really enjoyed it and ended up purchasing it. If you like a bit of a challenge, and you enjoy the Emily delicious series, don't pass this one up. Rated 5 out of 5 by Karavan from Enjoyable game I almost didn't buy this game because of initial reviews but am glad I did. I waited until I finished the entire game to give a review. I liked this game. Because some said it was too hard I played it in the beginner mode and easily got 3 stars. Next time I will play in normal mode. The graphics seemed very similar to me as other Emily games and the story line was funny in places. Give this a try! Rated 5 out of 5 by Joelette from Best one in the series. I really enjoy the Delicious games. I would highly recommend buying. This is the first review I have written; I enjoyed the game so much I felt I needed to. Rated 5 out of 5 by kikiskollection from I love this series Fun to play and kill time. Please make more of these!!! Rated 5 out of 5 by ringcat from fun game i really enjoyed the game, the levels were challenging and that is what made the game more fun. I read some of the reviews and was hesitant to purchase the game, but tried the 60 minute trial and really enjoyed it and ended up purchasing it. If you like a bit of a challenge, and you enjoy the Emily delicious series, don't pass this one up.